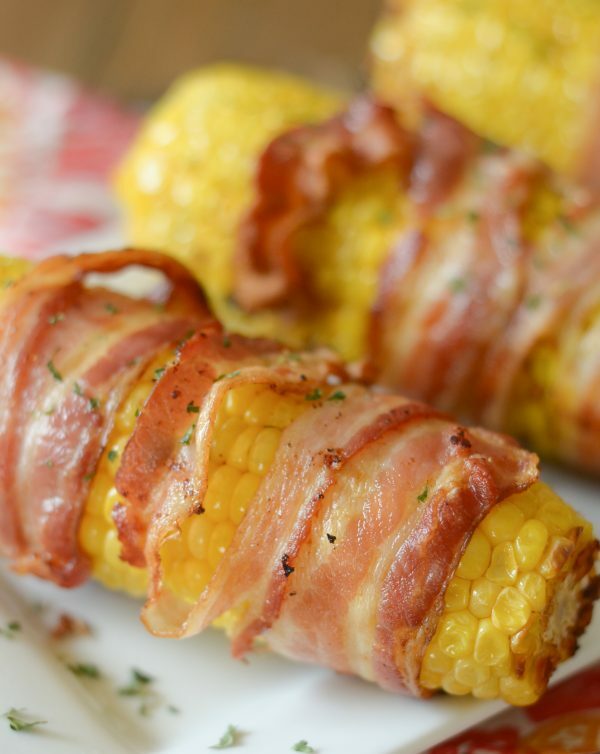 It honestly doesn’t get much better than Air Fryer Bacon Wrapped Corn on the Cob…outside of eating it of course! I recently decided to stop into a local meat sale in town. It was honestly some of the best prices on meat that I’ve seen, so I decided to stock up. One item I purchased quite a bit of was bacon. We go through at least a pound of bacon a week, so I thought I’d stock up on it. As I checked out the cashier mentioned that she loves Bacon Wrapped Corn on the Cob. YES! 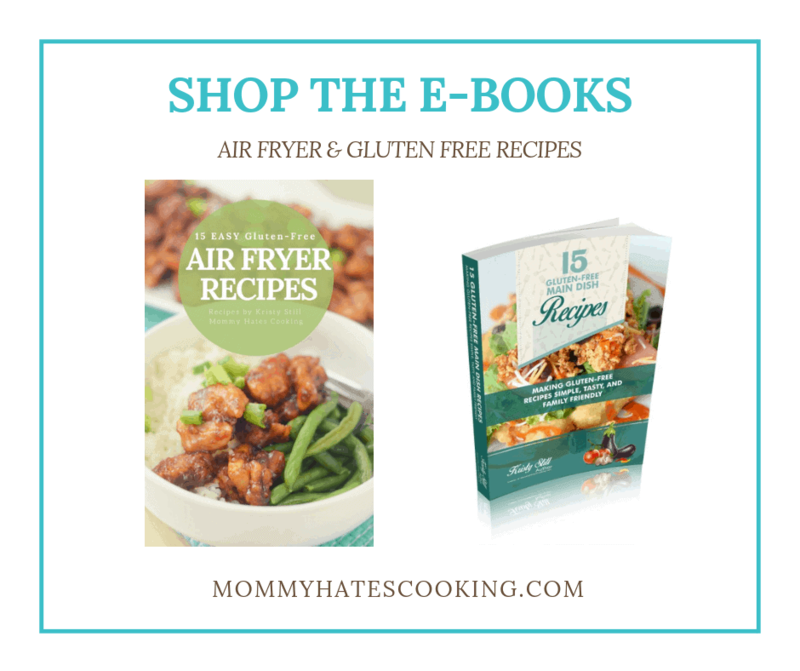 You can do it in the air fryer! 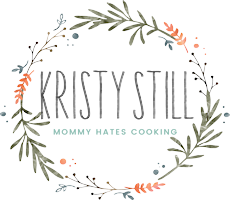 Making air fryer bacon is my preferred method at this point. 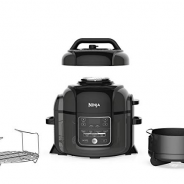 The air fryer keeps all that grease inside and it isn’t popping all over the stove. 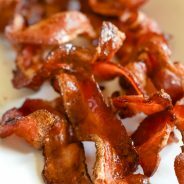 How do you cook bacon in the air fryer? 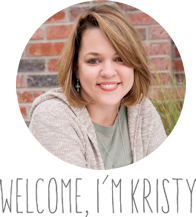 Place a piece of foil in the air fryer basket. Cook at 355* for about 10 minutes or until crispy. Tip – I like to flip it about halfway through the cook time to get both sides evenly. That’s it! It’s so simple and all that popping grease is out of your way. Plus, with the air fryer, I can just turn it and forget about it because it turns itself off when it’s done. I ALWAYS forget about the bacon if I try to do it in the oven, so that’s a bonus for me too. This mama doesn’t burn the bacon when I air fry it. 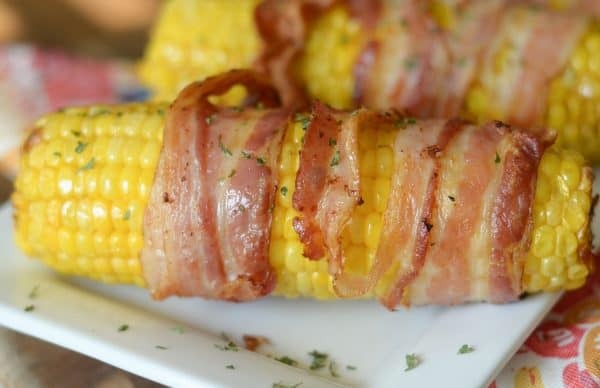 If you want to make Air Fryer Bacon Wrapped Corn on the Cob, the method is similar except you will want to wrap the bacon around the corn. I used two slices of bacon to wrap around each trimmed corn on the cob. I placed it in the air fryer on foil and then I cooked it for about 10 minutes on each side. 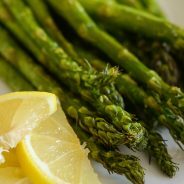 It will vary a bit depending on your air fryer, so carefully watch it as well until you know for sure how quickly your air fryer will heat up. Once it’s done, it doesn’t even need butter in my opinion. The grease from the bacon is enough to make it super delicious. My kids raved about this and were super thankful for the cashier’s suggestion too. 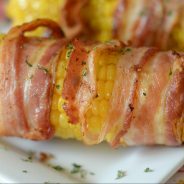 How to Make Air Fryer Bacon Wrapped Corn on the Cob? Place foil in the air fryer basket. 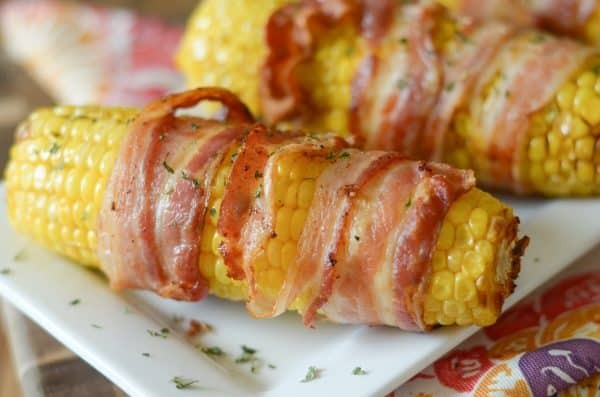 Wrap two slices of bacon around trimmed corn on the cob. Cook on 355* for 10 minutes on both sides or until crispy. 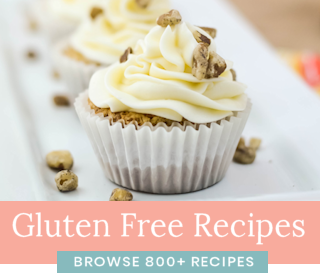 Are you ready for a tasty treat tonight? 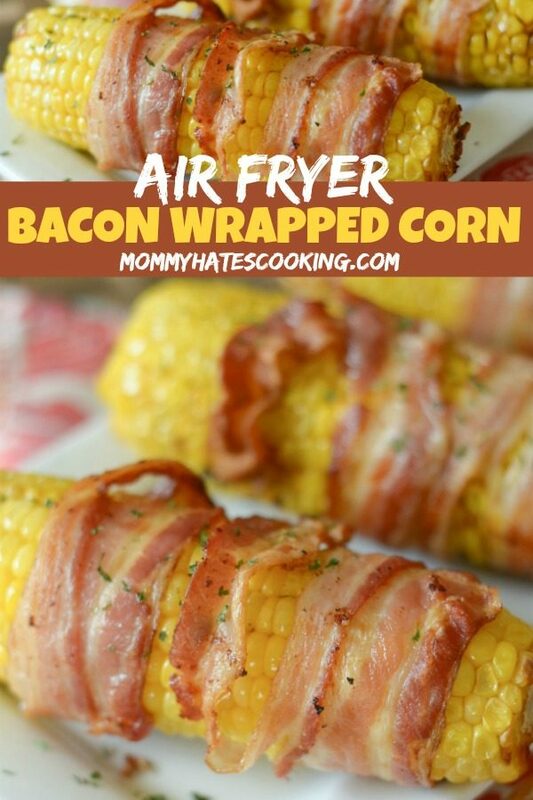 Add this Air Fryer Bacon Wrapped Corn on the Cob to your meal! Place foil in the basket of the air fryer. 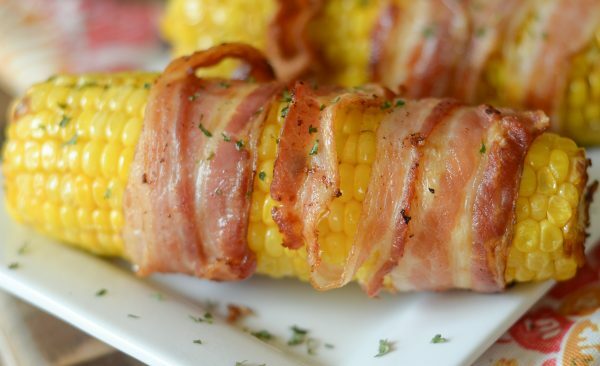 Wrap the bacon around each corn on the cob. Place in the air fryer. Cook at 355* for 10 minutes on each side or until crispy.